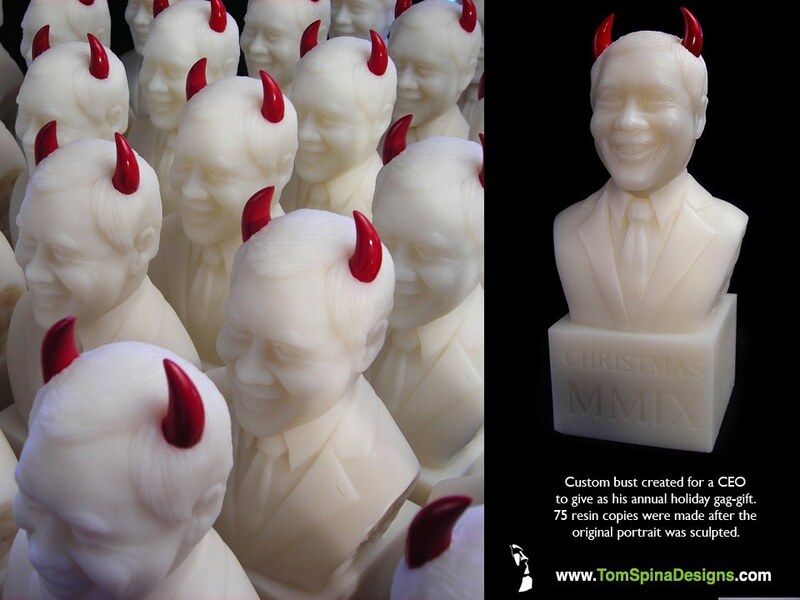 A little devil bust, a corporate gag gift for a CEO with a big sense of humor! This classical style likeness bust had a little devilish twist to it. Our client is the CEO of a company and wanted to give out a fun corporate gag gift to his employees for Christmas. 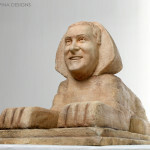 We sculpted a bust of him, their boss… in a very classical look but with the added twist of devil horns! We love balancing the classic and classy with the sort of fun gag elements like these horns. The gifts were all finished in a plaster/alabaster or marble style, with blood red devil horns as the pop of color. 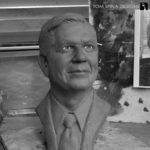 The polymer clay bust sculpture was molded in silicone, which was used to cast seventy-five hard resin copies to be given to his employees. 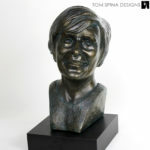 This fun portrait bust was created entirely from photos and made for a truly unique gift for his employees! Made in time for Christmas, the little devil of a bust was a big hit for the holidays! We love clients with a sense of humor and had a wonderful time creating these gifts. Why not do something unique for your employees this year? 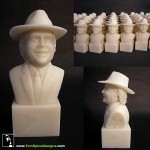 Are you looking for a unique or sculpted corporate gift?